As you dive into your engagement and wedding planning you to start your hunt for your wedding vendors! 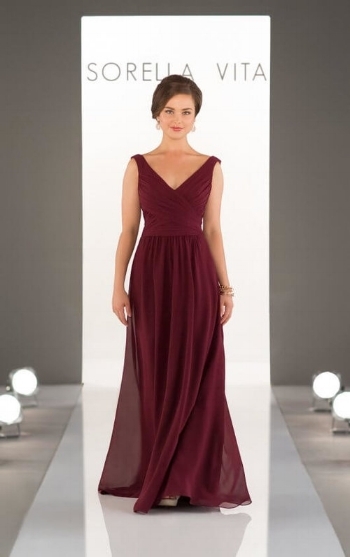 The Bustle has a page on our website with all of out preferred vendors, but I wanted to share a few with you today. This is a fun and fashionable new company that specializes in robes for your whole bridal party. We really love the owner the her super cute products! Check her out! Still need an engagement ring, or wedding band? These lovely ladies have got you covered. This is a family owned business ran by a mother and her two daughter. We really love these ladies and the quality of work and style! Go to their website & take a look! They make beautiful jewlery and will customize you anything! Who doesn’t love gelato? Better yet, who doesn’t love gelato at a wedding?! Delicious! 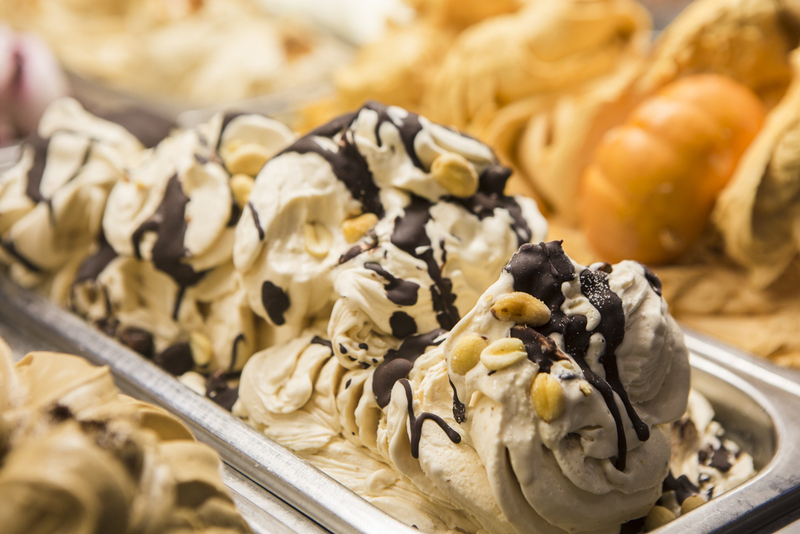 We also love sending our brides to Gelato Paradiso, they have amazing gelato and so much more! Their quality of service is very friendly and fun. The gelato is of course super yummy and they have so many tasty flavors! Ready to make your mouth water? Go to their website and see how delicious it looks for it self. Today I wanted to bring up the topic of florals! We hold them in our hands, we wear them in our hair, we throw them in the air, and of course we cover our tables, arches, and chairs in them..We love FLOWERS! Flowers are a large part of weddings and a decent amount of the wedding budget. Here are some quick deals for florals. Want to save some money but love florals? Choose more greenery to increase the look of your flower quantity, greenery is much cheaper than flowers. 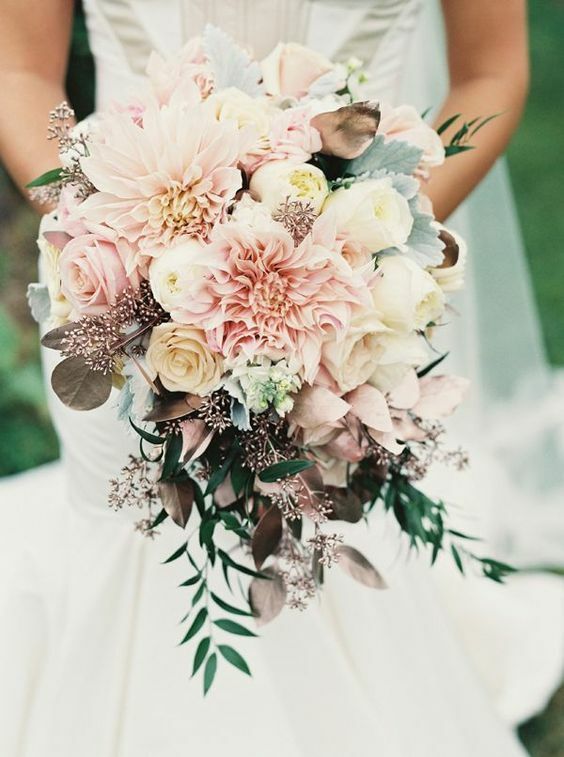 Dont love all the greenery, but love the soft romantic look? Use babies breath! Its much cheaper than florals and can be purchased almost anywhere, even grocery stores. You can make bouquets out of them, or even add them into your hair. I learn so much from all of our wonderful brides and their family. Recently when speaking to a bride’s Aunt she gave me the best recommendation. She told me that after a wedding she attended, instead of throwing away all of those beautiful flowers the bride had just paid for, she took them over the a nursing home! Genius! She said she just called up a local nursing home and then took them there after the wedding was over. What a great idea and a wonderful way to let others appreciate your beautiful arrangements! Hello, You Bride To Be! This Thursday I wanted to talk about wedding day shoes again, but with a slightly different plot! Lately we’ve noticed that more and more brides have been asking us where do buy their wedding shoes. We always recommend Nordstroms, they do carry a handful of great shoe designers who have separate bridal collections. 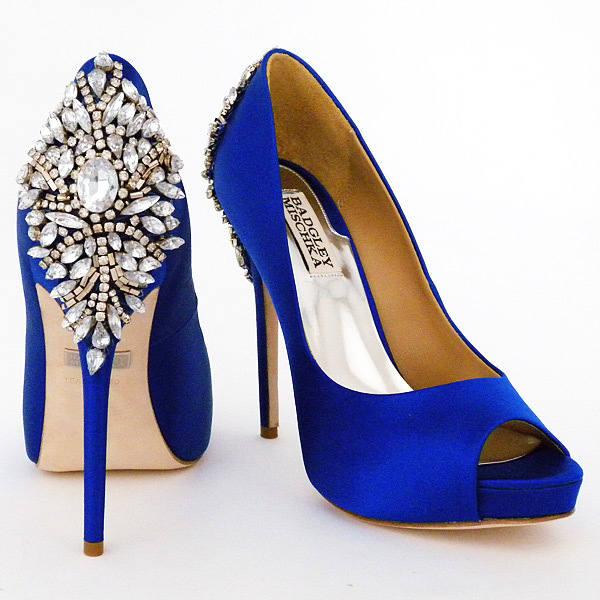 DSW also carries some bridal shoe lines and have some really great deals on Badgley Mischka shoes! Vince Camuto, Betsy Johnson, and Bella Belle are a few other shoes designers we love! If you're looking for something more casual, Target has some great low-block heels for an outdoor wedding. Macy’s and JCpenny’s have some cute lines that sell fun sandals that might just do the trick for your special day. No matter the shoes, shoe inserts and padding are always a great idea! Who doesn't love a little sparkle with their love?! There are so many different cuts and styles. Wedding bands are another great way to truly customize a wedding ring style of your own. 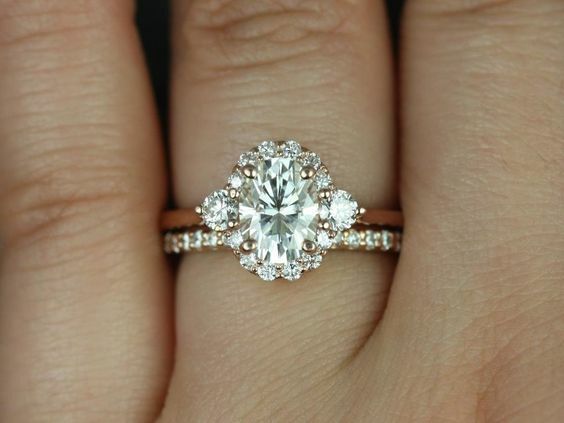 As bridal shop consultants we get to see so many beautiful engagement rings. 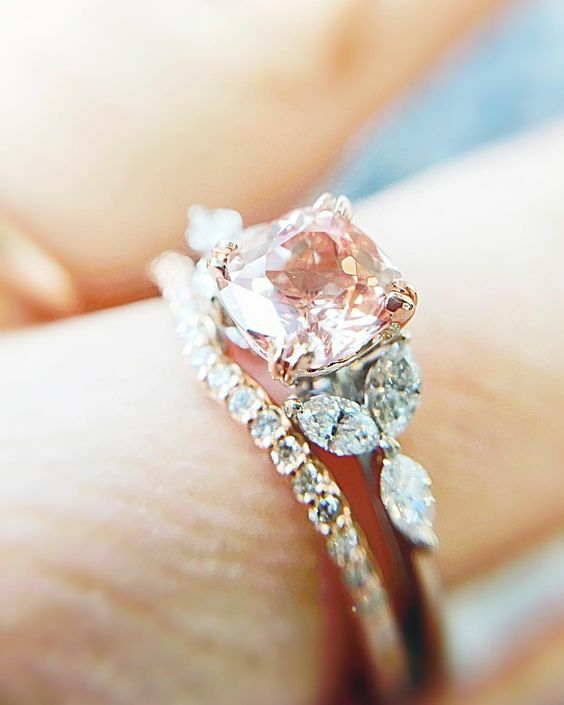 Some of the most beautiful rings are antiques that have been reset into a new and modern setting! 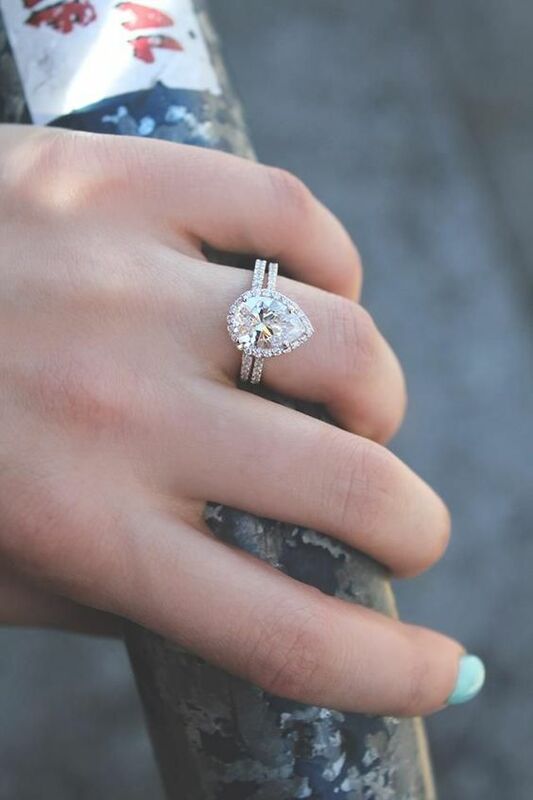 For all wedding ring advice, personally use The Diamond Daughters in San Diego. We have been lucky enough to work with these three ladies over the past couple of years. Both daughters are Bustle Brides and we've be honored to see their company grow!